Women are traditionally underrepresented in the energy industry, with an extreme disparity continuing into both leadership and trade positions. This program addresses some of the evolving opportunities and challenges that women face working in the energy industry and advocates for workplace inclusion and teamwork across gender, racial, and generational demographics. Open to both women and men, WEI members will join together for leadership training, education, networking and mentorship. With a growing emphasis on cross-functional teams and diverse skill sets, this program will support utility directives to build a cohesive workforce. Registration price increases $100 after October 16, 2018. Registration includes comprehensive conference materials, all sessions, and all food events. Guest tickets are available for $150 and allow a personal guest (a spouse or partner who does not work in the energy industry) to accompany a registered attendee at the event. Guest registration includes all meals and receptions, and all program materials. The Women in Leadership participant ticket is available to enrollees of the 2018 Women in Leadership – Mentoring + Development programs. This $150 discount on the normal attendee rate is applied at registration. Includes comprehensive conference materials, all sessions, and all food events. Join us for a day of networking with business associates, as well as golf enthusiasts for a round of golf in tropical Palm Springs, CA. Maybe you have never golfed before, no experience is needed. This is a day of fun on an 18-hole course with breathtaking views of the mountains and a time to get to know others in your industry with fun activities along the way. Meet at the golf clubhouse at 7:30 AM. Tee time 8:00 AM (PT). Concludes around 2:30 PM. No refunds after September 7, 2018. Rental clubs are available for $ 75.00 and include six Callaway golf balls. Please call the Indian Wells Golf Resort at 760-346-4653 to arrange for rental clubs or bring your own. Hospitality provided by our sponsors: GROEBNER, Michels Corporation, and SENSIT Technologies. First stop on this tour is the Palm Springs Aerial Tram. Climb Mt. San Jacinto from the comfort of this historical civil engineering landmark. Hike or wander the summit while enjoying the stunning and sweeping views of the desert below. Following the tram experience is a guided tour through the San Gorgonio Pass's wind generation facility. The tour will cover the international history of wind energy, current utilization of wind power in this area, and the opportunity to ask operational questions. The guides work exclusively for the facility, some are Engineers. In addition to the wind turbines they will see the onsite solar farm and a gas plant. The temperature at the Aerial Tram Mountain Station can be up to 30 degrees cooler than in the valley; therefore, we encourage attendees to please dress accordingly and wear comfortable walking shoes and layer clothing. Boxed lunches and water will be provided. * Standard cancellation policy applies. If the tour is full, consider getting on the waitlist as there are always a few attendees who have to cancel the week of the conference. 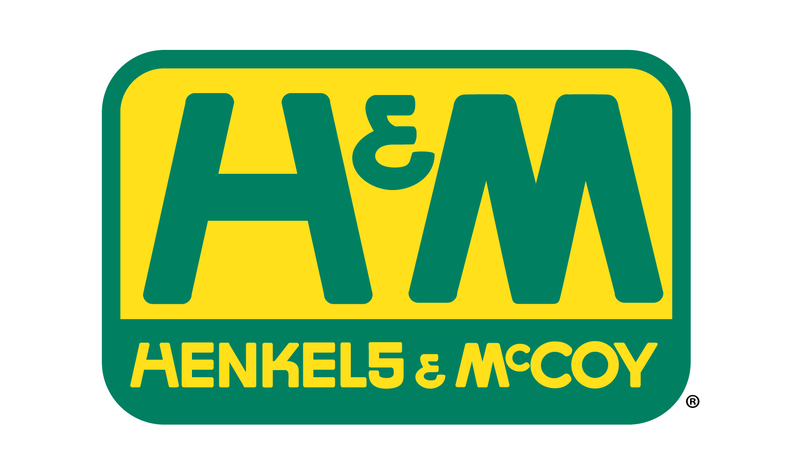 Sponsored by Henkels & McCoy. Speaker: Carol Butler, Corporate Performance Director, Seattle City Light. Our chair will welcome attendees and share important announcements. Speaker(s): Colleen Scholl, Senior Vice President, HDR Engineering, Inc. 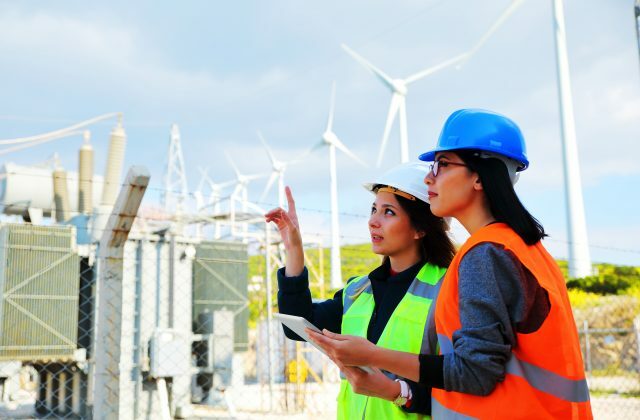 According to the International Energy Agency, the energy industry remains one of the least gender diverse market sectors in the world’s economy. The 2017 US Energy and Employment Report agrees, with women composing only 22 to 34 percent of the US workforce in the various energy related industries. The speaker will share her own story of working more than 25 years in the power industry and share insights and practical tools for women working in these fields. The session will also highlight opportunities within the energy industry for empowering women to develop and achieve their own definition of success within the industry. Speaker(s): Clay Storey, Sr. Security Manager, Avista Corp.
Did you know that more than 90% of cyber attacks begin with Social Engineering and if successful, they allow an attacker to access to your network and exploit vulnerable systems? Come learn about choices you can make at work and home that will significantly reduce you and your organization risk to a cyber attack. You have more control over your cyber risk than you think! What is “change management” and do I need it? This session will provide an introduction to change management and how utilities are using it to successfully adopt new processes and technology. We will hear how different utilities are implementing change management techniques and practices including executive coaching and project support. Networking, whether you like it or not, is a must in today’s corporate arena! During our session, you will understand the importance of mastering your audience, sticking to your personal agenda, and crafting your pitch. Most importantly, you will learn to let your brand take center stage while you mingle with strategic purpose. Networking reception and dinner sponsored by Itron. Speaker(s): Greg Kiraly, Chief Operating Officer, Hydro One Inc.
What are some of the common operational issues faced by US and Canadian utilities today? Do the strategies used to address these issues differ between the two countries? In this session, we will hear about innovative tactics used to transform the everyday operations of US and Canadian utilities, including how to move the dial on performance metrics, and how best to stretch your capital dollars. Facilitator(s): Britt Bachtel-Browning, Senior Counsel, Avista Corp.
Everything you ever wanted to know about unconscious bias, #metoo and sexual harassment, discrimination, and other topics that harm morale and impact a utility’s culture. Leveraging diversity and building an inclusive work environment is no easy feat. It requires a long-range and strategic approach to cultural change, involving the successful integration of key change accelerators. In addition to implementing programs and policies, companies must tightly link organizational objectives (business goals, values, brand identity) to specific, action-focused diversity and inclusion strategies for results with impact. Join us for a discussion and networking where we will explore the challenges and rewards of cultural change through inclusive leadership. For PDT members and those interested in planning the 2019 conference. Join the Program Development Team to share feedback from this conference and brainstorm ideas for next year’s symposium. Please contact the hotel directly at (800) 237-2926 to reserve your room. Identify yourself as being with Western Energy Institute to receive a special rate of $179 USD/night. This rate is guaranteed until October 16, 2018 or until the WEI room block is full. All networking events take place on Wednesday, November 7, 2018. First stop on this tour is the Palm Springs Aerial Tram. Climb Mt. San Jacinto from the comfort of this historical civil engineering landmark. Hike or wander the summit while enjoying the stunning and sweeping views of the desert below. Following the tram experience is a guided tour through the San Gorgonio Pass’s wind generation facility. The tour will cover the international history of wind energy, current utilization of wind power in this area, and the opportunity to ask operational questions. The guides work exclusively for the facility, some are Engineers. In addition to the wind turbines they will see the onsite solar farm and a gas plant. The temperature at the Aerial Tram Mountain Station can be up to 30 degrees cooler than in the valley; therefore, we encourage attendees to please dress accordingly and wear comfortable walking shoes and layer clothing. Boxed lunches and water will be provided. *Standard cancellation policy applies. Colleen Scholl is a Senior Vice President with HDR, an architecture and engineering firm headquartered in Omaha, NE. Colleen directs the engineering activities for 1,200 technical staff working on industrial projects and manages the QA/QC and risk assessment processes. Prior to joining HDR in 2012, Colleen spent 20 years with engineering, procurement, and construction firms involved in the engineering, construction, and commissioning of power plants around the world. Colleen served on the Society of Women Engineers Board of Directors for 4 years, including serving as Society President in FY16. Jessica is an Organizational Change Management Analyst, and Internal Consultant for Salt River Project or SRP. Jessica has worked at SRP for 17 years and has a background in Human Resources, Communications and OCM. She is certified in Prosci Change Management methodology and holds a Master’s in Business Administration from Arizona State University. Jessica recently served as the Director of Communications for National Association for Women MBAs and has a passion to lead women in career development and pursuit of personal goals. Jessica lives in Gilbert, Arizona and is surrounded by boys, living with her significant other Anthony, and two sons, Alex and Jason. When not at work, Jessica attends her sons’ baseball, basketball and football games, and lounges with her puppy. We are excited to hear how SRP uses organizational change management as a part of their IT business today. Stacy Lucchesi leads the enterprise technology planning and organizational readiness function of Southern Company, delivering enterprise-wide technology strategic planning and change management for initiatives across America’s premier energy company. Lucchesi began her career in 1998, progressing through various areas of marketing and communications. She spent seven years leading change management and training for the company’s largest technology project in its history, resulting in the installation of their Enterprise Resource Planning solution. In 2012, Lucchesi started a performance support organization to sustain the solution for the enterprise, then moved to her current role in Technology in 2017, leading enterprise organizational change and sustainment. A native of Atlanta, Georgia, Lucchesi earned a bachelor’s degree in communication from Georgia Southern University. She earned a master’s degree in Education, specializing in performance and change from Colorado State University. She is also a Certified Change Management Professional™. Rochelle Howell leads the workforce development and training organization for marketing and sales at Georgia Power Company. She is responsible for delivering workforce development initiatives which includes recruiting and development of pipeline talent for key positions, change management initiatives as well as organizational enablement and training activities. Rochelle began her career in 1999, progressing through various areas of marketing, sales, training and human resources. She spent several years leading organizational restructures and realignments leading to her current role where she ensures business strategy is enabled by the organization. Although a native of Michigan, she has lived in Georgia since 1986. She’s earned a bachelor’s degree in communication from Valdosta State University. Currently, she resides with her husband of 17 years and two sons Bowen 12, Campbell 9 in Locust Grove, GA.
Laticia Holbert is a proud Chicagoan that is passionate about innovation, social justice and change management. Laticia currently works for INTREN, LLC. as Employee Development and Diversity Manager/Business Development Manager. Her role reports both in human resources and business development utilizing her skills as a people and strategic developer. INTREN is an innovative utility solutions partner, building and maintaining the infrastructure of the energy industry. Laticia blends her technical and educational passions as a developer and connector of people and things. She is always looking at the big picture, pulling talents and gifts while championing people to live their authentic self. In her role she does corporate training, career and professional development planning, champion’s diversity and inclusion efforts, leads employee resource groups and business development. Previously, Laticia was Director of Education and Training Innovation for the YWCA Metropolitan Chicago and is an adjunct faculty member at the Colorado Technical University and Ashford University. She serves on the, Executive Club of Chicago Membership Committee, YWCA Metropolitan Chicago Ambassadors Council, Women in Energy Network (WEN) Chicago New Member Onboarding Chair, Million Women Mentors Steering Committee Member and board of directors for Foundation College Prep (2016-2018). She is also a proud member of Alpha Kappa Alpha Sorority, Incorporated. Greg Kiraly is Chief Operating Officer at Hydro One Limited in Toronto, the largest electricity provider in Ontario. Hydro One owns and operates over 98 per cent of Ontario’s electric transmission assets, serving numerous local distribution companies through direct transmission access, as well as 75 per cent of the province’s electric distribution infrastructure serving 1.3 million residential, industrial and commercial customers. Kiraly is a seasoned executive with more than 30 years of experience in the utility sector. He has an extensive background in energy transmission and distribution having served in various executive leadership roles across three of the largest investor-owned utilities in the United States and now Canada. As COO at Hydro One, Kiraly oversees the complete transmission and distribution value chain including Planning, Engineering, Construction, Operations, Maintenance, and Forestry; Health, Safety and Environment; Information Technology; Shared Services functions including Facilities, Real Estate, Fleet, and Procurement; and the Hydro One Remote Communities subsidiary. He is also the executive sponsor of the Women in Trades, Technology and Engineering (WTTE) Network, an employee resource group which aims to foster a workplace culture that empowers, inspires and includes women at all levels of the organization in trades, technology and engineering. Prior to joining Hydro One in 2016, Kiraly served as senior vice president of Electric Transmission and Distribution at Pacific Gas and Electric Company (PG&E) in San Francisco, which delivers safe and reliable energy to more than 16 million customers in northern and central California. Since joining PG&E in 2008, Kiraly led efforts that achieved the lowest employee injury rates ever, seven straight years of record electric reliability, and over $500M in productivity improvements and efficiency savings. Before PG&E, Kiraly held executive-level positions in energy delivery at Commonwealth Edison (Exelon) in Chicago and leadership positions in both gas and electric distribution at Public Service Electric and Gas Company in Newark, New Jersey. DaVonna Johnson is the Chief Administrative Services Officer at Seattle City Light and has been there since 2004. She is responsible for the development of Utility-wide Workforce strategy, policy and programs designed to attract, develop, train and support a highly skilled diverse workforce to meet the Utility’s needs now and in the future. She provides leadership transforming the Utility into a safe, high performance organization through excellence in talent management, organizational development, apprenticeship, technical training, employee services, employee relations, labor relations, safety and health and wellness, security, facilities and emergency management. DaVonna is a native of Seattle, has three teenagers with her husband Del, and true to her Seattle roots she enjoys reading, coffee and a good weekend rain storm. Annette Gardiner joined Itron in September 2016 as its Vice President, Gas Strategic Development. Prior to joining Itron, Annette held leadership roles in the gas utility industry including Vice President at Consumers Energy and President of New Mexico Gas Company. Gardiner has held leadership positions in engineering, operations, rates and regulatory affairs, and president of a natural gas utility in a career spanning over 25 years. Gardiner has a Bachelor of Science degree in Civil Engineering from Michigan Technological University and an Executive Masters of Business Administration degree from Michigan State University. She is a licensed professional engineer in Michigan and New Mexico. In 2014, Gardiner was awarded the Maverick Award from Midwest Energy Association’s Energetic Women group for advancing opportunities for women in engineering and operating roles in the utility industry. In 2013, Gardiner was inducted into the Academy of Engineers at Michigan Technological University for career achievement. Gillian Murphy focuses her practice on employment advice and counsel. She helps employers of all sizes successfully navigate every aspect of the employment relationship, including compliance with leave and disability law, discrimination investigations, updating personnel policies, and drafting executive compensation agreements. As a member of Davis Wright Tremaine’s Pay Equity Task Force, Gillian guides employers through compensation analyses and performs job classification audits to ensure compliance with state and federal law. Gillian frequently assists the mergers and acquisitions team with due diligence and other employment issues that may arise in connection with asset and stock purchases. She regularly conducts management training programs on a range of employment topics. Clay holds a B.S. and M.S. in Management of Information Systems. He has been with Avista for 9 years and he has over 20 years of experience working in IT. For the last 15 years Clay has been focused on securing critical infrastructure and has worked in the healthcare, financial and energy sectors. He is currently a Sr. Security Manager and oversees Security Engineering & Operations, Emergency Management, Business Continuity, and Physical Security. Audrey Gallien is a Senior Director of Learning Products & Programs at Catalyst. She’s been with Catalyst for over 7 years working with organizations globally to support them in their inclusion journey. A large part of her work is designing high impact engagements that bring individuals together to actively build inclusive leadership behavior. Audrey has traveled around the world to facilitate discussions on moving from unconscious bias to inclusive leadership, LGBT+ workplace inclusion, learning the unwritten rules of your culture, and optimizing your own career advancement strategies.